Molecular Medicine | "Latest Stem Cells News"
“Creating highly purified and functional human Alzheimer’s neurons in a dish – this has never been done before,” said senior study author Lawrence Goldstein, PhD, professor in the Department of Cellular and Molecular Medicine, Howard Hughes Medical Institute Investigator and director of the UC San Diego Stem Cell Program. “It’s a first step. These aren’t perfect models. Hematopoietic stem cells (HSCs) give rise to all other blood cell types, but their development and how their fate is determined has long remained a mystery. 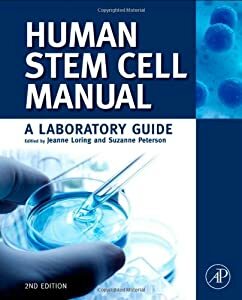 In a paper published online this week in Nature, researchers at the University of California, San Diego School of Medicine elaborate upon a crucial signaling pathway and the role of key proteins, which may help clear the way to generate HSCs from human pluripotent precursors, similar to advances with other kinds of tissue stem cells.